Optimize every opportunity. This handheld stroker features a stimulating textured interior and simple non-anatomical design for discreet use and storage. Each stroker is handcrafted in Platinum TRUSKYN, a 100% pure health-grade silicone handcrafted in a proprietary process that leaves it as soft and supple as real skin. An open design makes this product easy to clean and maintain for lifelong sexual health benefits. 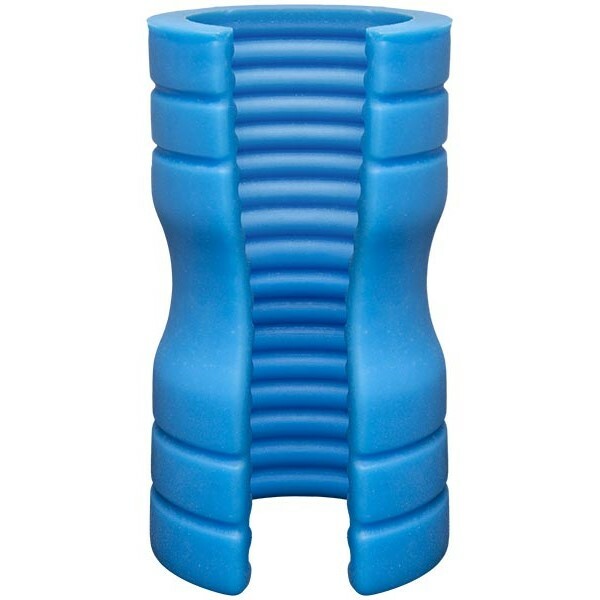 OptiMALE TRUSKYN Silicone Stroker Ribbed - Blue. Review "OptiMALE TRUSKYN Silicone Stroker Ribbed - Blue"